Fact: Jennifer Lawrence got revenge on her Passengers co-star Chris Pratt on Jimmy Kimmel Live on Monday night (12Dec16) by defacing the side of a bus with his face on it. The actor has been having fun at Jennifer's expense during their promotional tour by snapping selfies with her but deliberately cropping her out of them. Jennifer spray-painted over his image, giving him devil eyes and a pitchfork, as well as blanking out letters so it read "Chris Rat". Quote: "She's really, really funny. She totally rolls with the punches; she's genuinely hilarious. We laughed every day, all day making this movie, so my favourite part about her would be her sense of humour... She's a Oscar-award winning actor (sic), I feel like I learned a lot working with her." Chris Pratt loved working with Jennifer Lawrence on their new sci-fi movie Passengers. Quote: "I've heard some people say, 'Don't go to bed mad'. I think that's garbage. I say, go to bed mad, but at least touch toes. 'Yeah, I know, we'll deal with it later. We need to get some sleep.' Just touch toes." 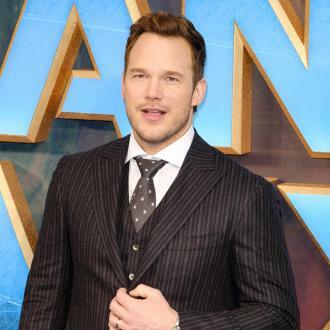 Chris Pratt, who has been married to actress wife Anna Faris for seven years, shares his advice on how to keep a relationship strong. Fact: Chris Pratt and his family were the centre of attention at the Seafair Torchlight Parade in Seattle, Washington on Saturday (30Jul16) as they greeted fans at the march from the grand marshal's car. The Guardians of the Galaxy star and his wife Anna Faris donned customised jerseys from their favourite American football team, the hometown Seattle Seahawks, while their three-year-old son Jack donned a navy blazer, tie, and a captain's hat as they waved to the crowds. Quote: "We're having just the best time. We're fishing, crabbing, having fires, sitting around having dinner together, it's just been great, the dream summer that we've all been waiting for." Chris Pratt tells People.com he is enjoying spending time at home in Washington with his wife Anna Faris and son Jack after filming three big films back to back. The actor returned to the spotlight at Comic-Con in San Diego, California on Saturday (23Jul16), when he joined his Guardians of the Galaxy co-stars to discuss the film's forthcoming sequel. 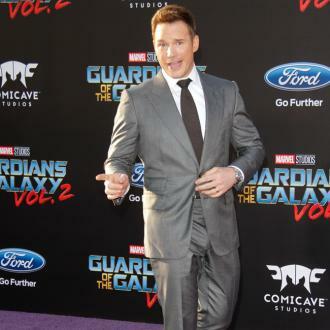 Fact: Guardians of the Galaxy and Jurassic World star Chris Pratt suffered a blow to his ego last week (ends09Oct15) when New Yorkers failed to recognise him during a Billy on the Street clip for performance artist Billy Eichner's FunnyOrDie.com Internet show. The movie star joined his pal on the streets of the Big Apple as Eichner offered bystanders a dollar if they could name his sidekick. One dud guessed the celebrity before him was called Liam, while a Scottish tourist was thrilled when Eichner told her his pal was Josh Duhamel. Another New Yorker came close when she opted for Avengers hunk Chris Evans when asked who the 'mystery' star was. Fact: Monster movie JURASSIC WORLD has become only the fourth film in history to roar past the $1 billion mark at the international box office. The record-breaking summer blockbuster has joined Avatar, Titanic and another 2015 hit, Furious 7, after hitting the milestone this weekend (04-06Sep15). 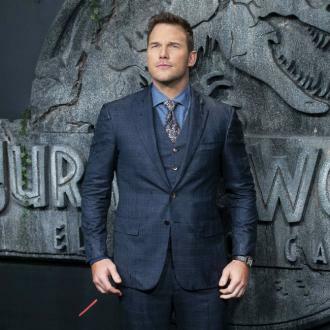 Jurassic World, starring Chris Pratt, has also earned $647.5 million (£432 million) at the U.S. box office. Tweet: "Your to do list: 1) have kids 2) play outside 3) teach them to fish 4) take pictures. Thanks Dad. Miss you man." Chris Pratt writes a touching caption to a picture of him with his brother Cully and late father Dan, who died in 2014 after a long battle with multiple sclerosis. Fact: Actor Chris Pratt has turned to his 2.2 million Facebook fans for help in revamping his social media profile. The Jurassic World star appealed to followers in a funny post online, admitting he needs help creating a new page header featuring a montage of his onscreen characters, because he has no idea how to use Photoshop. In the message, he claims he is also open to "other fun stuff, including but not limited to previous roles, my family, eagles, American flags, guns, cool ford raptors, cigars, explosions, anything Sly Stallone, bloodsport, early Steven Seagal, anything that looks bada**." Quote: "I can tell that people are motivated by my transformations, and that feels really good. But everyone should know when the movie star stuff is over, I might go back to being the fat guy. My wife wants a pizza oven - she's going to learn how to bake bread, and I'm going to eat it. I love the health benefits of exercising... but you gotta live too." Action man Chris Pratt likes to relax his strict diet and exercise regime when he's in between movies. The previously-chubby actor whipped himself into shape when he was cast in 2014's superhero movie Guardians of the Galaxy. Fact: Actor Chris Pratt donned a pair of red, high-heeled pumps to run around U.S. late night host James Corden's Los Angeles studio on Wednesday (10Jun15) to experience the fashion pains of his JURASSIC WORLD co-star Bryce Dallas Howard. The GUARDIANS OF THE GALAXY star's stunt came moments after he heaped praise on the actress for shooting all of her scenes in the action blockbuster while wearing heels, prompting THE LATE LATE SHOW WITH JAMES CORDEN presenter to give him the opportunity to put his own balancing skills to the test, a task he gamely accepted. Quote: "I was like, 'Damn, dude.' This is happening! And then the DJ put on... Bye Bye Bye and my brain was like (exploding). And I knew I was in the City of Angels, baby." Chris Pratt recalls spotting 'N Sync star Lance Bass, his first celebrity sighting, in a bar when he first moved to Los Angeles as an aspiring actor. Fact: Actor Chris Pratt stole the costume he wore as military man-turned-dinosaur trainer Owen Grady in the new JURASSIC WORLD movie so he can surprise sick kids in character the next time he pays a visit to a children's hospital. The movie star did the same with his Guardians of the Galaxy outfit and famously teamed up with CAPTAIN AMERICA Chris Evans to stop by medical centres in their native cities of Seattle, Washington and Boston, Massachusetts, respectively, earlier this year (15). Quote: "I don't pinch myself because when you pinch yourself, it's to see if you're dreaming and it'll wake you up. I wouldn't want anyone to pinch me right now, because if I did wake up, I'd be pretty p**sed." 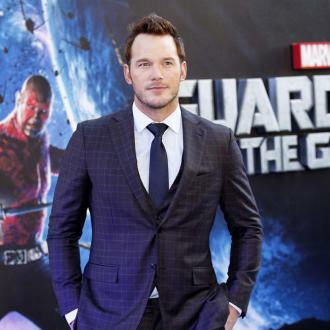 GUARDIANS OF THE GALAXY star Chris Pratt is revelling in his soaring Hollywood status. Quote: "Being part of a movie that was essentially my Star Wars... it was like my first event movie, I saw it in the theatres, it blew my mind! I was 13 years old, so to be in that is crazy. It's just crazy." Actor Chris Pratt's role in JURASSIC WORLD is a dream come true. Quote: "You have to look at it and be like, 'Is this right for me? ', and, 'Is it perfect?' You don't want to be the guy who f**ks that up. But it's pretty crazy that people hear that and they don't go, 'What? That f**king dude!' What has happened in my life that you can see that?" Actor Chris Pratt on rumours suggesting he'll be the next Indiana Jones. Quote: "I think outwardly I was having more fun. I was more fun to be around, probably. That image that I was casting, to convince people that I was OK, was a really fun person to hang around. Now I have less fun. I focus more. (My wife Anna Faris) doesn't get to cook for me the way she used to. I was, like, a great pet fat guy." Movie hunk Chris Pratt was happier when he was chubbier. Fact: Actor Chris Pratt gave fans a taste of his silly singing skills on Friday (24Apr15) as he joined U.S. talk show host JIMMY FALLON in a game of Nonsense Karaoke. The sketch, which aired on The Tonight Show Starring Jimmy Fallon, featured the pair performing unique covers of Bruno Mars and Mark Ronson's Uptown Funk, Sam Smith's Stay With Me and Kelly Clarkson's Since U Been Gone, all while swapping out words for funny replacement lyrics. Quote: "Anna and I are meant to be together. Our relationship has made me believe in divine intervention and destiny... She and I grew up 20 minutes away from each other but never met until we met in L.A. We both got our start in horror spoofs. We both did an animated movie for Phil Lord and Chris Miller. We both made our careers playing guileless nitwits for laughs. We both have parents that have suffered with MS (multiple sclerosis). The similarities go on and on." Chris Pratt is convinced he and wife Anna Faris were destined to be together. Quote: "We want to, very much so, but it will definitely be a whole new complication because now I'm... a high-risk pregnancy, so it requires some different monitoring. My doctor's like, 'I don't think you'll have to be on bed rest the whole time.' And I'm like, 'I'm on a (TV) show'... I'm thinking we have to start talking about (having more kids), looking at all kinds of options." Actress Anna Faris is keen to have more children with her husband Chris Pratt, but is wary of complications after their son Jack was born nine weeks prematurely in 2012. Quote: "I don't know, I might be. I just got back from the woods hunting, killing a bunch of stuff... I have no idea. It's the first I'm hearing of it." Guardians Of The Galaxy star Chris Pratt plays down rumours suggesting he has been tipped to take over the INDIANA JONES franchise from Harrison Ford. Fact: Chris Pratt has been announced as the recipient of the 2015 Man of the Year Award from Harvard University's Hasty Pudding club. The actor's Parks & Recreation co-star Amy Poehler has been named Woman of the Year. Quote: "You know it is really, very easy to be patient with this kid. He is really a remarkable kid. From what I understand most of the terrible two stuff is the toddler's inability to express what they want. They know what they want, but they can't tell you because they don't know the words yet. He's so vocal that it's not that hard for him. It's super frustrating because you're like, 'Jack, I think it's time for you to go to bed', and he's like, 'I thought about it and no thanks, dad. Not right now'. And I'm like... 'He's so polite, what am I supposed to do?'" Chris Pratt can't argue with his young son at bedtime. Quote: "Like he's the baby whisperer. Like he's gonna get the baby to stop crying when the baby's mother can't, just by aggressively shushing the baby. Motherf**ker. I was like, 'Damn, the f**in' Wrestler shushed my baby'." 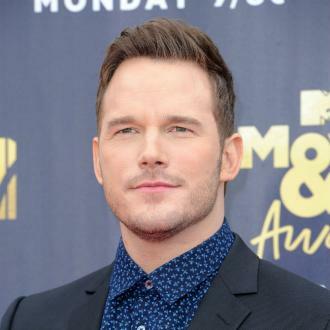 Actor Chris Pratt was not amused when he heard Mickey Rourke had attempted to quiet his wife Anna Faris and child on a plane. Quote: "Oh, how embarrassing to get punched by Orlando Bloom. Like, of all the people you get punched by, it's Orlando Bloom?" Chris Pratt laughs about Justin Bieber's bust-up with Orlando Bloom. Quote: "For Zero Dark Thirty, I was doing 500 push ups a day, running five miles - but with no food, and I tore my body apart. The minute you stop, you balloon back up. On this movie (Guardians of the Galaxy), I had the proper coaching and ate healthy food. I think it's something I can maintain." Actor Chris Pratt is determined to stay in shape after getting ripped for the new superhero movie. Quote: "Sometimes I'm like, 'What's it going to feel like? Chris is going to be this huge star. Am I going to get insecure?' I hope not, but I certainly don't want him starring with a bunch of hot ladies! I'll just have to be on set a lot, make my presence known." Actress Anna Faris worries she may feel jealous if her husband, rising star Chris Pratt, becomes a Hollywood megastar. Quote: "I would like more. I would have another one right away. We've talked about it. He's pretty awesome." Actor Chris Pratt is eager to give 15-month-old son Jack a sibling. The boy is his first child with wife Anna Faris. Quote: "I'm not like a huge alcoholic or anything, but I always prided myself on being in a pretty good mood. And then I stopped drinking alcohol for eight months and I realised from time to time I got grumpy. It's a nice social lubricant." Actor Chris Pratt noticed changes in his mood after cutting out beer to get into shape for upcoming superhero movie Guardians Of The Galaxy. Quote: "I had a very special moment with him today. He recognised me when I came home. I was worried that he wasn't going to recognise me, but he recognised me from Skype." Chris Pratt's regular video calling sessions with his 14-month-old son Jack has paid off. The Zero Dark Thirty star, who is married to actress Anna Faris, has spent the past five months away from their Los Angeles home filming Guardians Of The Galaxy in London. Fact: Hollywood couple Anna Faris and Chris Pratt both have nerve damage in their left hands. She says, "We took that as a sign!" Tweet: "A year ago today my darling boy came into this world. Happy first birthday to my sweet son Jack." 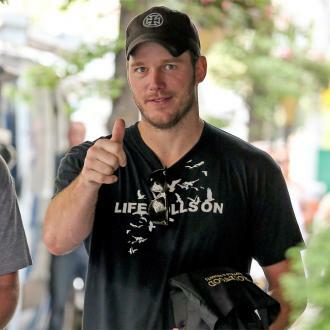 Actor and proud dad Chris Pratt celebrates his firstborn's birthday on Saturday (17Aug13). Tweet: "It's a boy! Thanks for all your kind words. In lieu of gifts we ask that you mouth kiss a stranger." 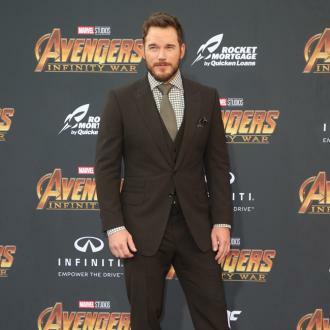 Actor Chris Pratt thanks fans for their support after his actress wife Anna Faris gave birth to their first baby, son Jack, prematurely on Saturday (25Aug12). Quote: "I went over to his apartment on a date and I saw that he had this amazing bug collection, like dead bugs on the wall. I have a bug collection too, a dead bug collection! I have a weird sense of humour, so we had that amazing thing in common. So now we have this massive dead bug collection!" The House Bunny star Anna Faris bonded with actor Chris Pratt over their shared love for entomology. The couple wed in 2009.